Our vouchers are vaild for nine months from the date of purchase. I thought a flying experience gift voucher was a great idea for a present, but I was wrong! 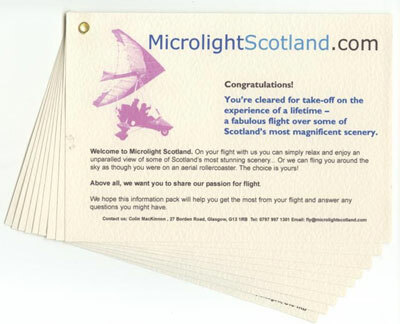 We use 1st Class post to mail our flying experience vouchers. If you order by 3:30pm Mon-Fri, the gift voucher is usually in that day's post. On Saturdays, if you order by 11am, we can catch the 12 noon post. If you are in a hurry, just call 0797 997 1301 and we can email something out too. Our gift vouchers are numbered. We don't put a name on them. So they are fully-transferable. Be Pampered is the business that processes the gift voiuchers for us. They check the payments, produce the vouchers and post them. They also pay the instructors once they have flown. Why Be Pampered? Well, it was a name used by Marta for a previous business and it hides the fact that you have bought a Flying Lesson Voucher from anyone else who might see your card or bank statement - a common problem with internet banking! The youngest we fly is a responsible 12-year-old. You can log the time towards your NPPL (National Private Pilot's Licence) if you are at least 14 years old, fly solo at 16 and get your full licence at 17. How fast will the aircraft fly? How high will the aircraft fly? What are the weather limitations for our type of flying? Our C42s are best flown in light to moderate winds, up to c20 knots, with good visibility. Bring comfy clothes, just like you would wear in a car. We have nice leather seats and an efficient cabin heater, so you should be very happy. In summer, you might want to bring a light jumper in case we land away somewhere. Please bring a camera so you can take away a souvenir of your flight.